How do I implement a "rate game" for IOS? So before I used to just make my own "rate game? "-popup in the game and use the browser to simple open up the app store review window by using the "itms-apps://itunes.apple.com.....?action=write-review". 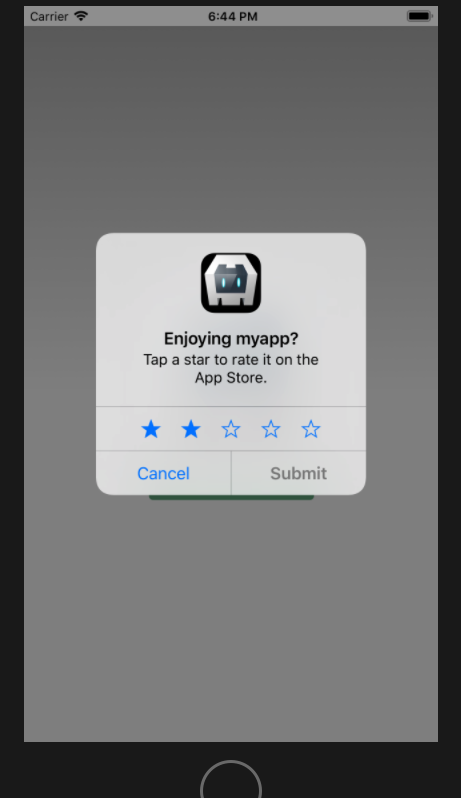 Well, Apple won't approve apps with that approach anymore and they require new apps to use their SKStoreReviewController, and call requestReview() to bring up their own review window so the player does not have to leave the app. Is there any way I could implement that in C3? Hi, i'm also very interested in that option. Is there anybody who implemented this? not hard. I did for test. its work. when I have time i will make construct plugin and share. Could you write how you made that? If it's simple, would be great to know how it works. you will call this code with Cordova. Thanks, but how to call it from the construct? I tested with construct 2. it's working. I don't know if construct 3 works. because i doesn't have c3 license. Hi Scirra team! Since this is the only plugin we have for the App rating in IOS, could you please add it to the whitelist and make it possible to build with c3 build service?